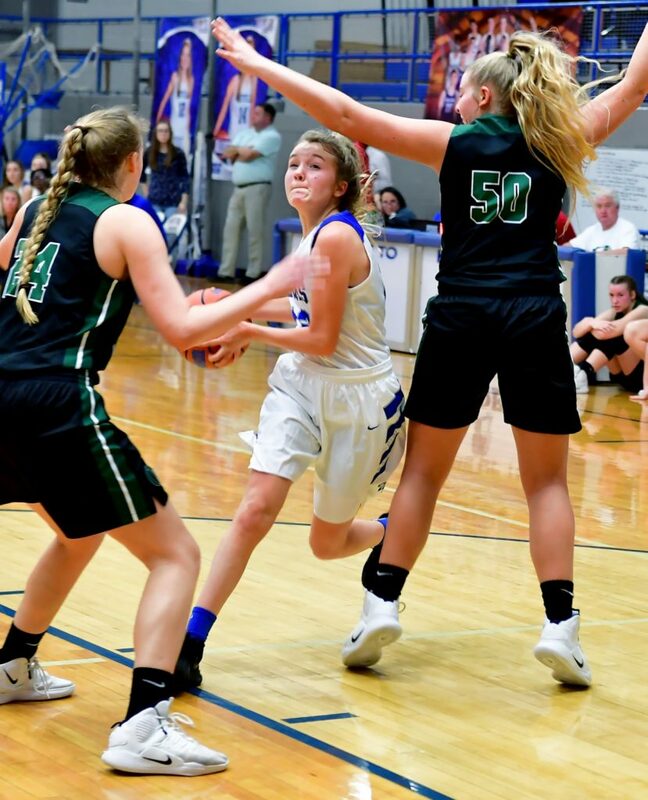 WHITE HOUSE – A strong finish to the first quarter provided all the ammunition needed for Greenbrier Tuesday night as the Lady Bobcats pulled away and held on for a 46-31 victory over White House. Kayla Conquest was the only player on either team in double figures with 12 points, and Greenbrier swept the season series from White House with its second win over the Lady Devils. White House will play Harpeth on Friday night at home. 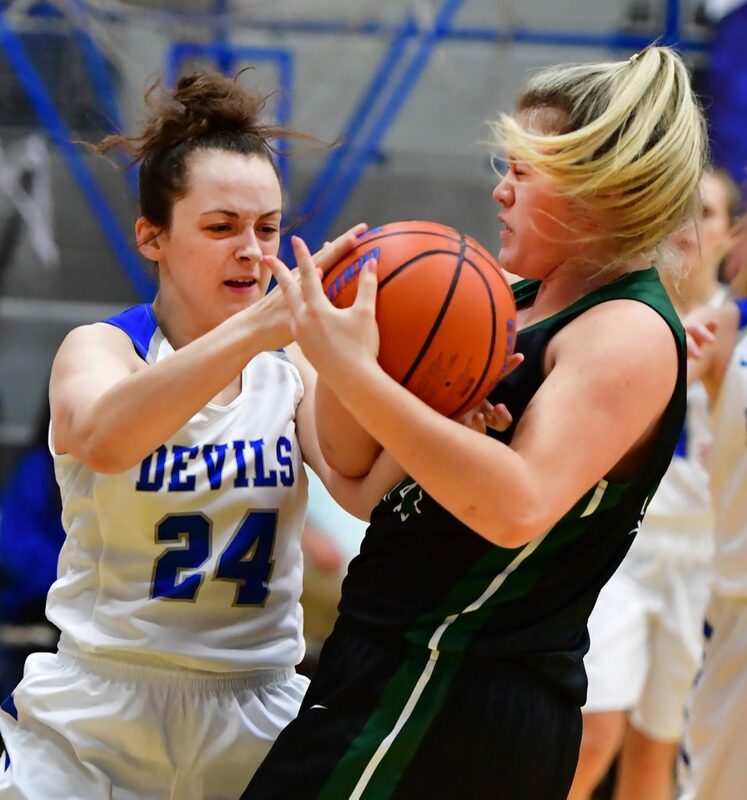 The Lady Devils will be competing for the sixth spot in the District 9-AA regular season standings, and the loser will finish seventh and have to play second-seeded Westmoreland in the first round of the district tournament. The winner Friday will play whichever team lands in the three seed. White House lost at Harpeth on free throws in the final seconds for the Lady Indians only district win. As for Tuesday, White House stayed close early but a 14-2 run to close the first quarter put the game on ice early. White House trailed 27-13 at the half and 38-18 at the end of the third. Senior Allyson Trimmer, junior Emma Wall and freshman Faithe Johnstone add had six points to lead White House. Alexis Bess, Bailey Newman and Grace Maupin scored three, and Audrey Hudson and Danielle Williams two each. Greenbrier got seven points from junior guard Snowden Scott, despite her early foul trouble. Allyssa Davis came off the bench and scored seven, and Kaytee Edwards added six, Kaylee Walker six, Bre Polen five and Halle Barnes three. Greenbrier was 12-of-13 from the free throw line. White House was 7-of-13. White House fell to 1-10 in district and 5-17 overall. Greenbrier improved to 14-12, but just 4-7 in district play and plays Sycamore on Friday. The Lady Bobcats are one game behind Sycamore, but basically the two teams are playing to determine who will wear white uniforms in the first round of the district tournament as the four versus five matchup will feature both of them again. If White House wins Friday, the Lady Devils would open the district tournament next week against White House Heritage.